Focused program vision and objectives to serve the broad requirements of manufacturing (discrete). 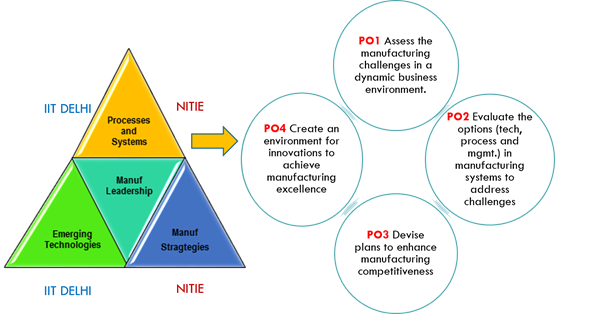 Structured following the best practices of international manufacturing leadership programmes. Structured learning outcome based curriculum design with emphasis on experiential learning and practice. 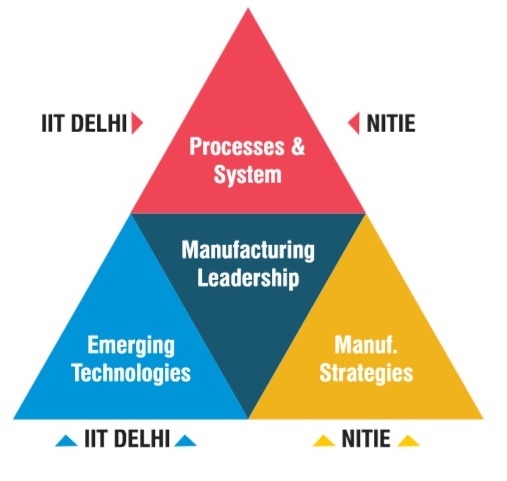 A judiciousbalance of classic and next generation of manufacturing requirements through the domain of sustainable manufacturing, manufacturing operations, smart manufacturing, breakthrough innovation strategies, digital factory design, systems thinking for leadership.